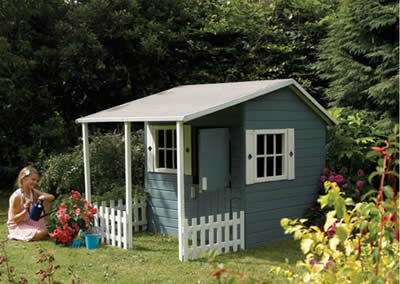 As with all of our Garden Buildings, our Playhouses have a guarantee against wood rot, and each is fully certified that the wood is sourced sustainably. All the Playhouses meet all that safety stuff (BS EN 71-1: 2007 and BS EN71-8: 2008. 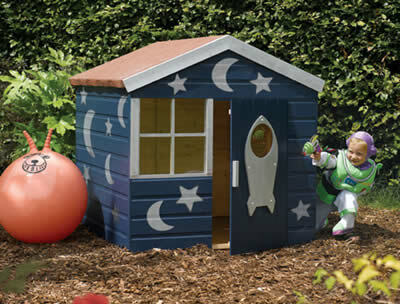 Daisy had a Playhouse when she was growing up. A hideaway retreat from those totally unreasonable parents ! 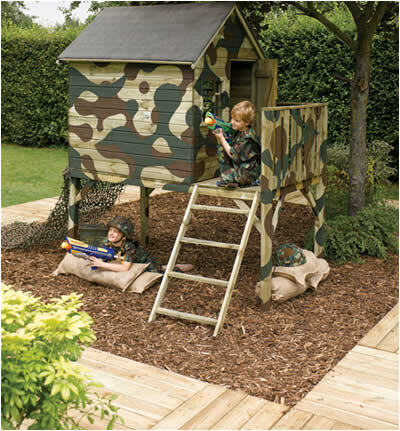 Forest Garden has a range of felt roofed Playhouses, and they are so, so easy to assemble, although a firm, flat base is a pretty essential starting point. You can use your imagination, or be really brave and let the future tenants use theirs, to paint your Playhouse, as each comes fully treated in its ‘natural’ finish. 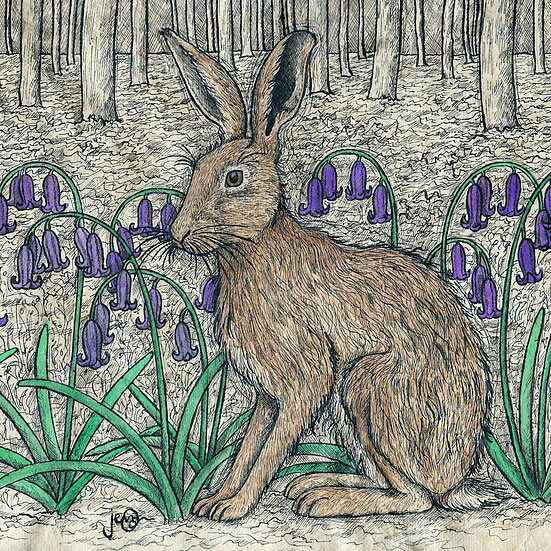 The Parsley really could be that first home away from home, well we all have to face up to them leaving sometime. 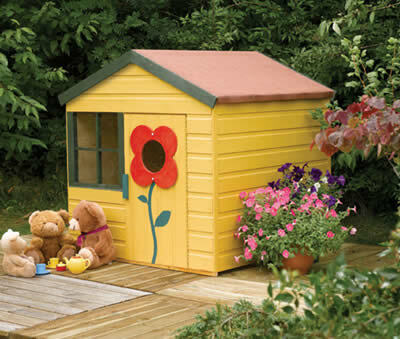 It’s a roomy – if your under 9 or so – 1.58m high, 1.52m wide and 2.05 m deep, including the porch. The two windows are glazed with Styrene, and the door is a ‘stable’ type. Give them their own front garden, and how about a Sunflower competition ? Wicked Mummy, taking away the steps when all the little Darlings are having a planning meeting. O.K. it was just a thought. The ‘Dandelion’ has two Styrene windows and a ‘ full’ door with a magnetic catch. An absolutely impregnable hideout ! While the rocket ship on the door of the Starship Playhouse really will attract the future Valentina Tereshkovas, Sally Rides and Helen Sharmans! They come in so easy to assemble kits, complete with felt, fixings and stuff. All you need is somewhere flat to build them. The glazed window is made of Styrene, and the hinged door has a magnetic catch. O.K., it was just a thought !